With less than 2 months left until Christmas, we are here already panicking about the holiday presents. Luckily for us, Santa Claus has a new helper this year: Julie de Libran. The current creative director of the Sonia Rykiel house is about to make her debut in the U.S. e-commerce thanks to an eclectic and extravagant holiday capsule collection created in collaboration with graffiti artist André Saraiva, which is scheduled to be available online starting with November 9. 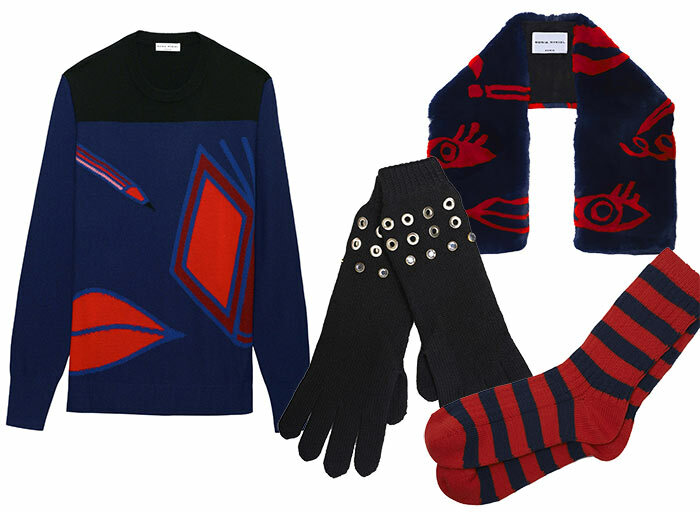 The limited edition Sonia Rykiel x André Saraiva holiday 2015 collection features both Rykiel’s classic cuts and Saraiva’s renowned illustrations, and also includes pieces for all budgets. De Libran, who took Rykiel’s position as its creative director in 2014, have been injecting a contemporary touch to the fashion house’s aesthetics since the very beginning of her appointment, which the designer probably refined while studying fashion in Milan first, and working as Marc Jacob’s right hand at Louis Vuitton later. She is considered as a modern-time style icon, and her urban chic feminine style perfectly goes hand in hand with Saraiva’s views on contemporary art. Saraiva, a Paris-based stylish artist, started his career doing graffiti in 1985. His unique figures feature a stickmen character with a top hat and an ‘X’ covering one of the eyes. He also owns some of the best nightclubs in Paris and New York and, also helps editing the French men’s fashion magazine L’Officiel Hommes. 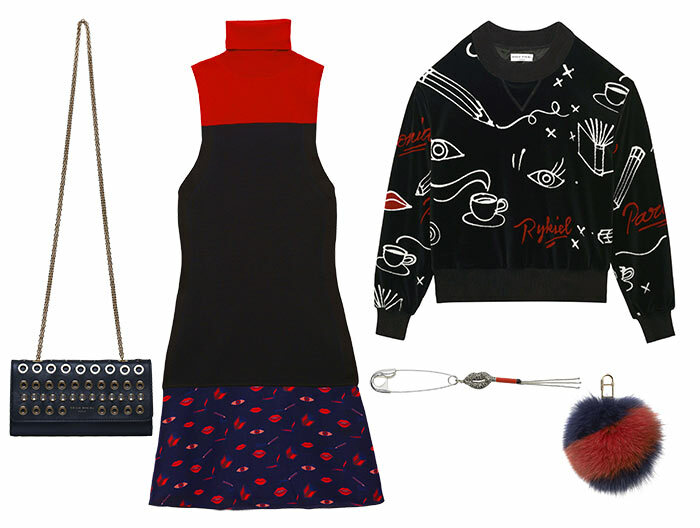 He has already lent his sketches to the brand before, creating some cheerful carpets for a bunch of Rykiel stores. It’s a dreamy collection compsoed of contrasts, such as the color-bock themes, while also bringing juxtaposition between delicacy and boyfriend looks, accentuated by some jocose fur accessories and mannish jackets. Saraiva’s surrealistic way to perceive pop-art perfectly enjoys Rykiel’s clear cuts, and creates a collection that is perfect both for the daytime and a night out. The Sonia Rykiel x André Saraiva holiday 2015 collection is the living proof that if you take two completely different artistic minds that have the same views on what art should look like and try to achieve that, you will be treated to a handful of good products that actually leave lots of room for thinking. Saraiva, a modern-day maudit artist, has perfectly expressed Rykiel’s free spirit attitude in art, giving us a one-of-a-kind collection.